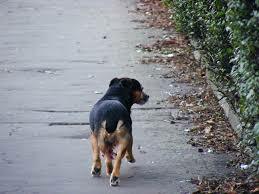 Do you have roaming dogs in your neighborhood? Do you have a neighbor that wont keep track of his dogs? How many times have you been chased by dogs while trying to enjoy an evening stroll with your four legged family member? The Animal Issues Task Force and Greene County Health Department FINALLY got to present their final draft of their Nuisance Dog, Dangerous/Vicious Dog, Reckless Owner (NDVR)policy to City Council at the meeting September 14th! It took two and a half years, but they are going to vote on the bill at the next meeting! Why do we need this bill passed? Because it puts the focus on the animal owner! It's time Springfield steps up with the changing times and has legislation that is based off scientifically and physically proven legislation. Human and dog physiology have come a long way in the last ten years. Lets use that knowledge to create a safer city! We have all heard the saying, "It's how the dog is raised". Well, I do believe that to be mostly true, but if we don't put the blame for the bad management and training somewhere besides on the dog, this problem isn't going to get any better. Does this get rid of the Breed Specific Legislation in Springfield? Unfortunately, no. However, I am confident that this legislation will show the citizens of Springfield and City Council that it can keep citizens safe all on it's own. The NDVR will prove itself worthy in just months. I haven't heard of one city enacting legislation similar and going back to BSL. It is waaaay more time and cost effective to focus energy on offenders and not our law abiding citizens. Hi Carrie, I'm thinking of moving back into town and was wondering if the city considers American bulldogs as a pit bull type breed? Should one error on the side of caution and register? The ordinance does not specify American Bulldog. If there was an issue I have been told AC defaults to the owner. If u have vet papers that state Am Bulldog they shouldn't consider him a pit-type...I would call AC and see what their opinion is. I personally wouldn't register if my dog wasn't on the breed restriction list.